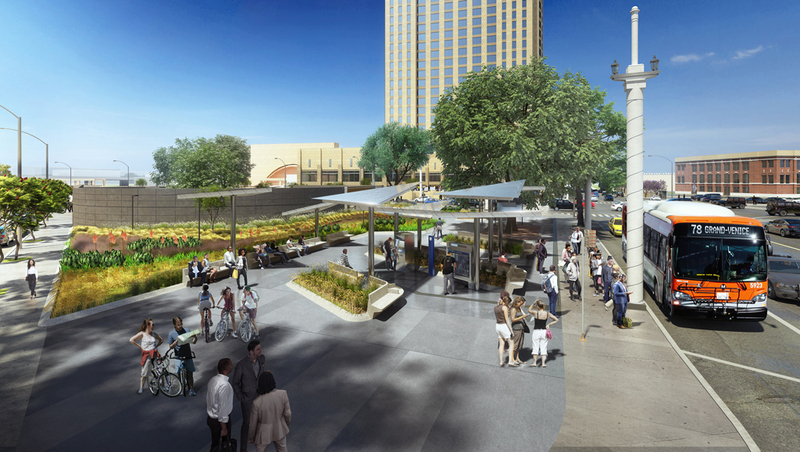 The Cesar Chavez Bus Stop Improvements project, funded by an FTA Ladders of Opportunity grant, will add amenities at four locations near Union Station on Cesar E Chavez Avenue between Alameda Street and Vignes Street to help improve the ridership experience and strengthen connections to other modes of transit throughout the area. Project design is complete. Construction is anticipated to begin in early 2019 and is expected to be completed in early 2020. Cesar E. Chavez Ave Bus Stop Improvements Site Map. View larger version. New landscaping will enliven the transit pavilion. Enhanced lighting will increase visibility at night. 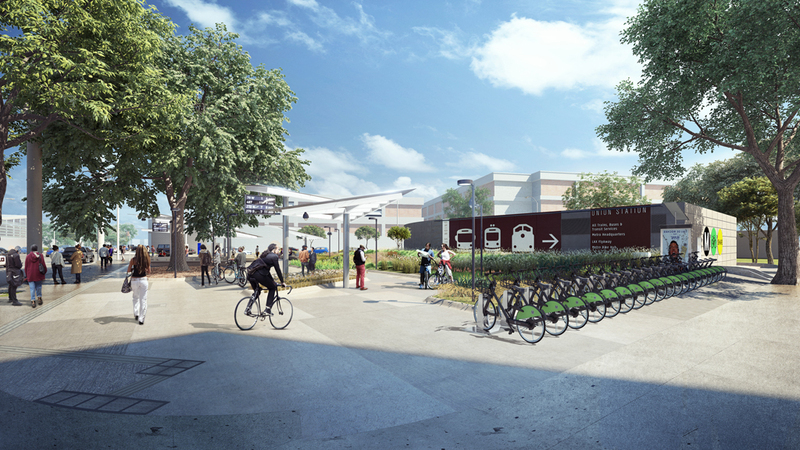 The new transit pavilion will provide innovative shade structures equipped with solar panels to power the site, as well as a bike share kiosk. 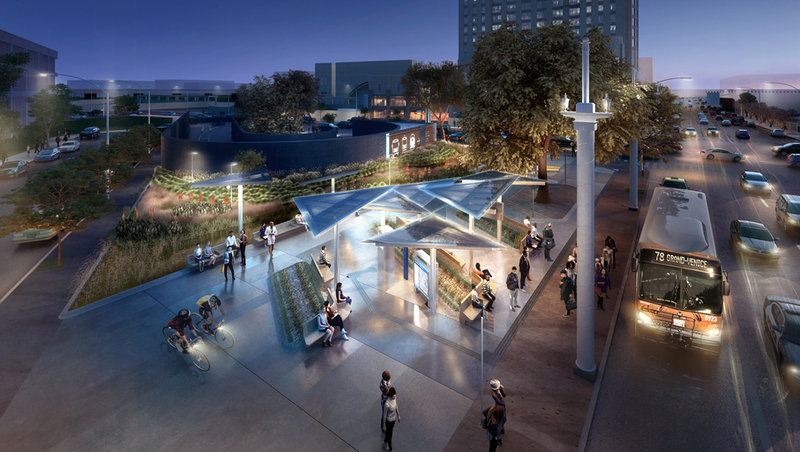 Metro owns a rectangular parcel of land on the southeast corner of Cesar E. Chavez Ave/Vignes St. where a transit pavilion to shelter transit riders, real time and static transit information, lighting, bicycle amenities, enhanced drought tolerant landscaping, and rainwater catchment will be added. The transit pavilion will house innovative sustainability features that will create a self-sufficient and energy generating site. The shelter structures will be fitted with photo voltaic solar panels that power the site and provide additional energy back to the gateway campus. 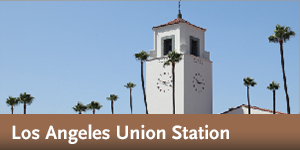 Bus shelters, trash cans and benches will be replaced in coordination with the City of Los Angeles Bureau of Street Services.